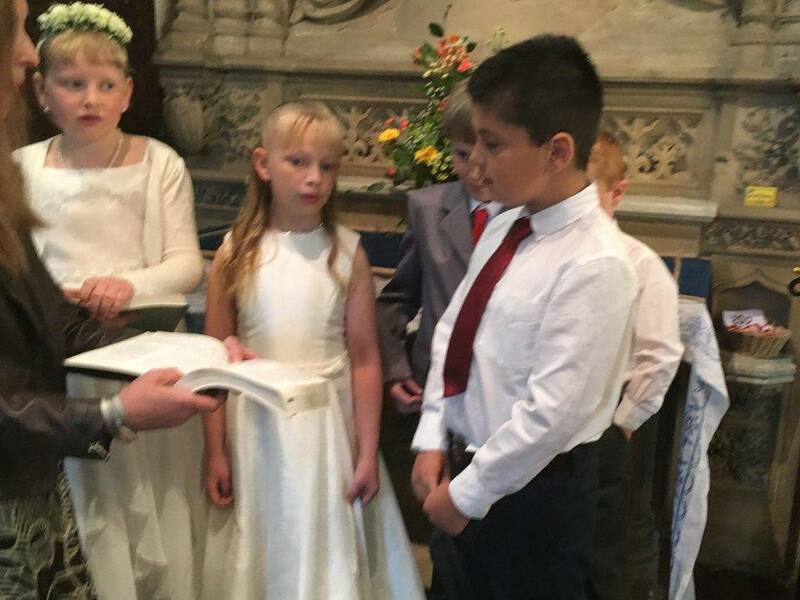 On Sunday 10 June, we celebrated one of our most precious of parish occasions, with five children receiving their First Holy Communion. 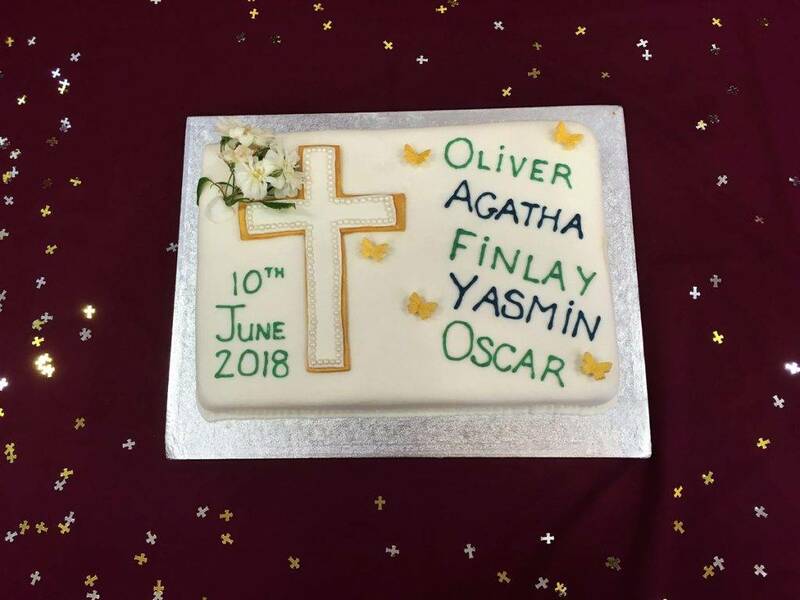 Many congratulations to Agatha, Finley, Oliver, Oscar and Yasmin on their special day. 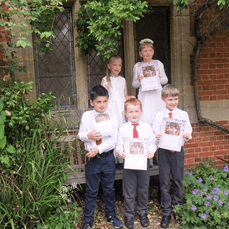 In keeping with our Family Mass tradition, the children participated in the readings, bidding prayers and offertory procession and led a beautiful rendition of Make Me a Channel of Your Peace. Our recessional hymn, Guide Me Thou O Great Redeemer, with organ and trumpet accompaniment, provided a rousing close to the Mass. After Mass, there was the opportunity to pose for photos with Fr Charles before retiring to the hall for our parish party, organised by the parents of last year’s First Holy Communion children. 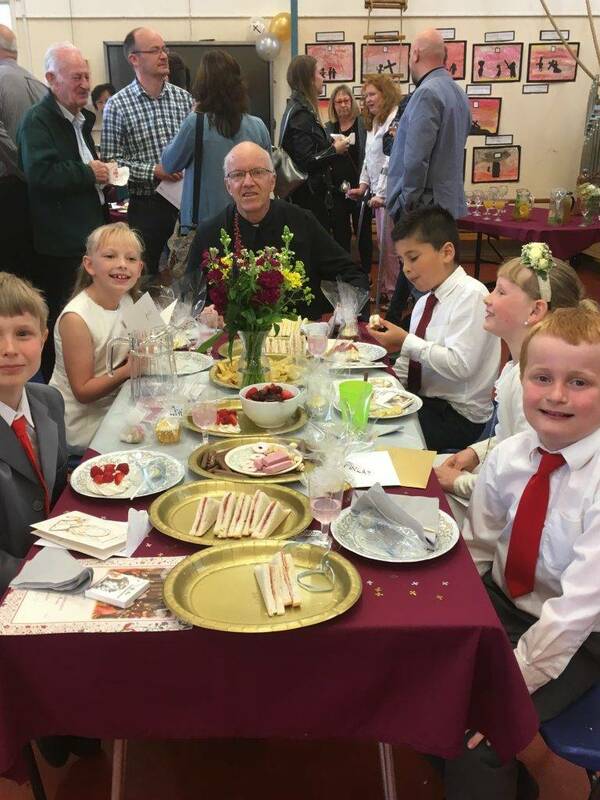 The First Holy Communion children sat at their own party table and tucked into all kinds of delicious goodies whilst family and friends chatted over a glass of wine or coffee and cakes. 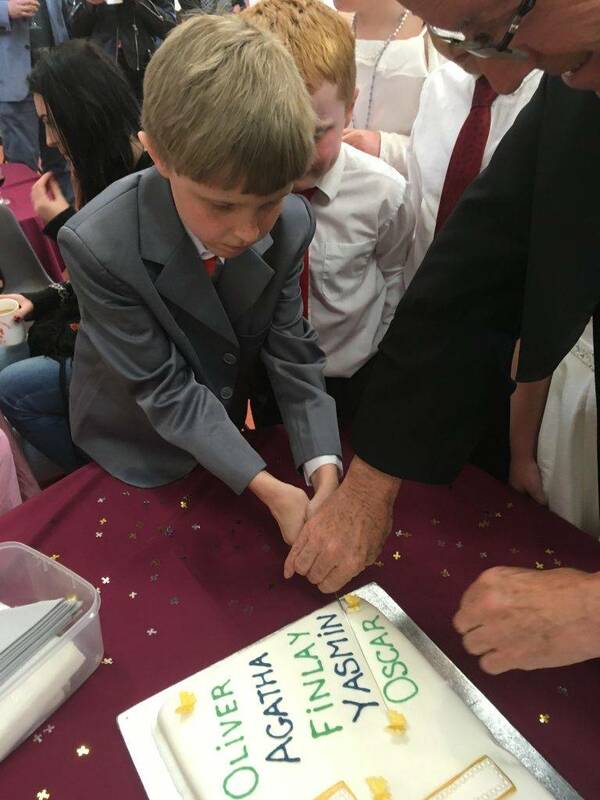 As usual, Fr Charles cut the cake with a flourish and gave each First Holy Communion child a slice with their name on it. 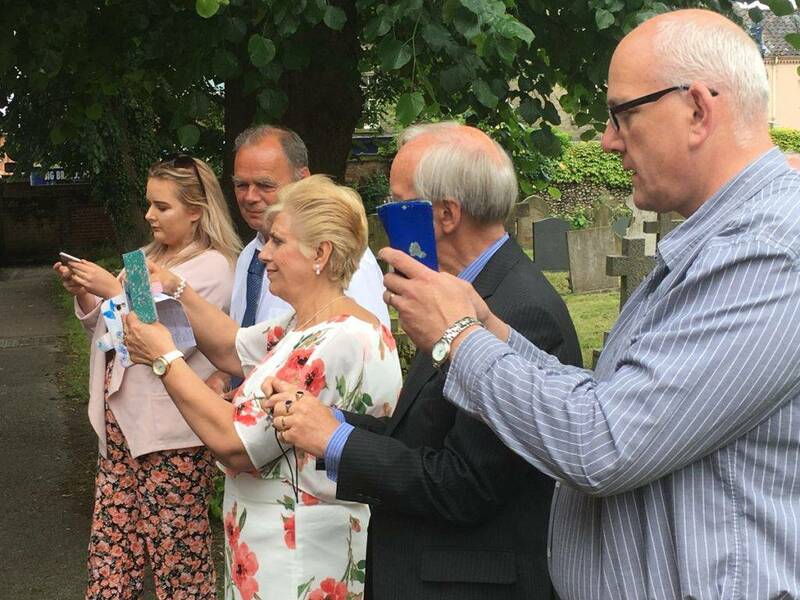 The rest of cake was shared out amongst parishioners. Huge thanks to everyone who helped making this day special. 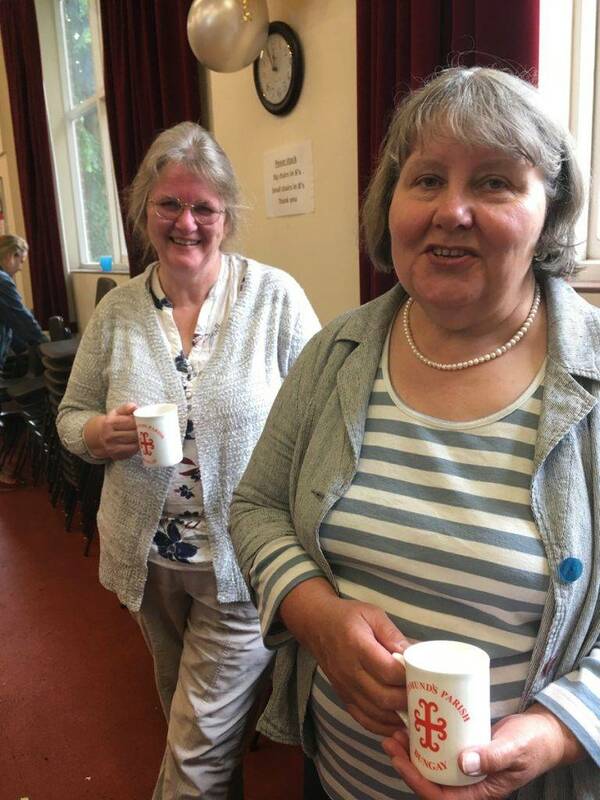 Particular thanks go to our catechist, Rebecca Clarke, who helped prepare the children for their First Holy Communion and also to Frances Mann who met with the parents. 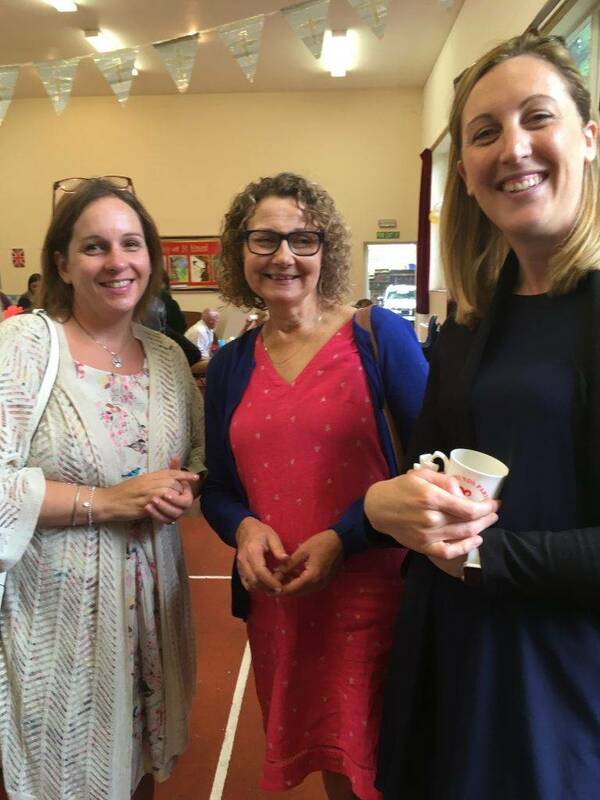 And a great big cheer to the parents of last year’s cohort of First Holy Communion children who organised the party in the hall. This was a wonderful day of celebration not just for the children and their parents but for the whole parish.